This picture is from my mother's collection. 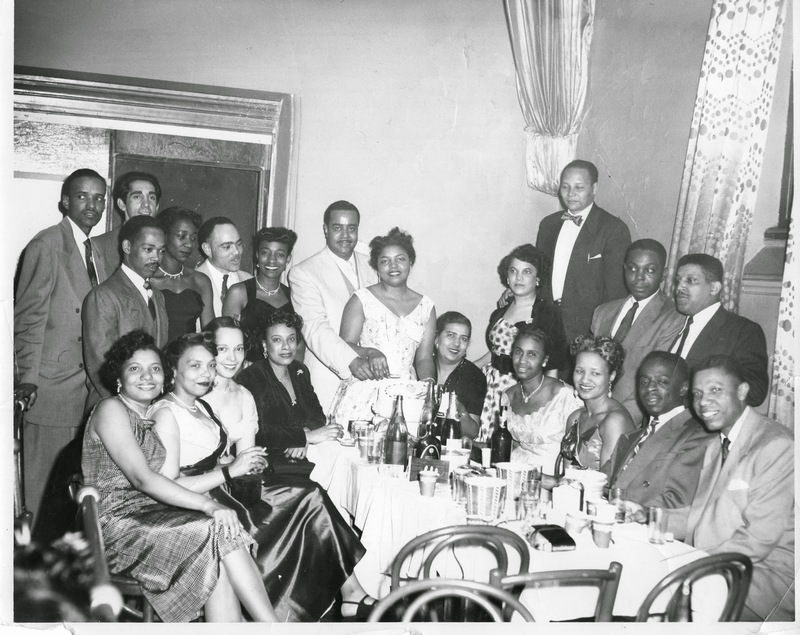 My mother's parents are the first one's seated on the left and right at the table. It appears me to be possibly a wedding reception since it looks like the couple standing in the middle are about to cut a cake. Everyone is certainly dressed to nines.